The instant switch on and dimming of Areaflood LED allows simple scene setting for the players to five competitive levels. 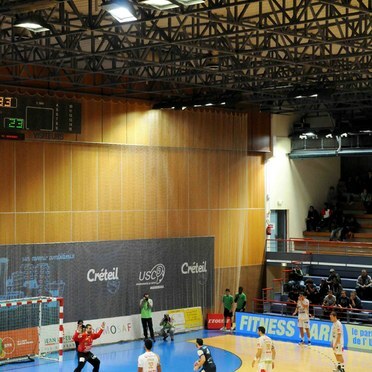 Areaflood LED slashes energy consumption while improving light levels and comfort at sports arena. 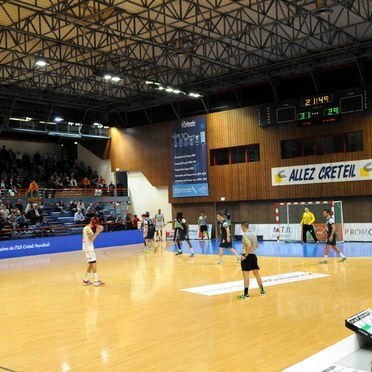 The main objective was to raise illuminance levels to the requirements of the French Handball Federation, including Eh = 1 500 lux for televised events. 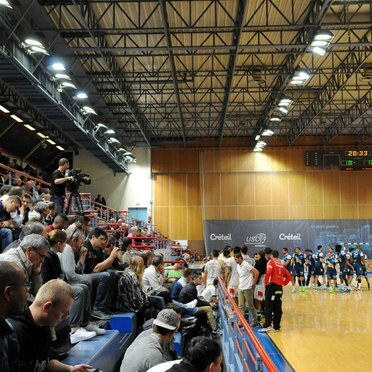 Other objectives were to reduce energy consumption and to have the flexibility to change the lighting levels for players' presentations. Asymmetric lighting was required due to the need to use the existing structure of four mounting rails, two of which are above the pitch. The solution therefore comprises 90 Thorn Areaflood LED floodlights as well as 36 metal halide Areaflood floodlights with asymmetric optics to offer the optimum performance vs budget balance. The Areaflood LED floodlights provide instant 800 lux lighting. 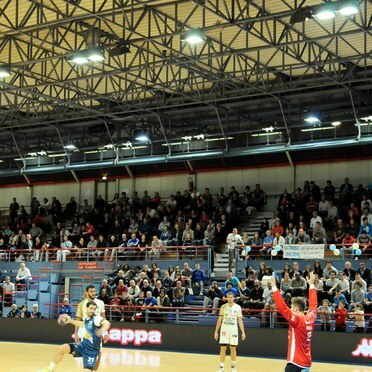 When combined with the metal halide Areaflood floodlights, 1 500 lux is achieved. A total of five illumination levels are provided to accommodate all the arena's uses, including 150 lux, 300 lux, 500 lux, 800 lux and 1 500 lux. Compared to the previous installation, this new solution uses 46,4% less energy. Comfort is also improved with excellent uniformity (0,74) and reduced direct and indirect glare as a result of reduced brightness and the elimination of reflections from the polished surface. 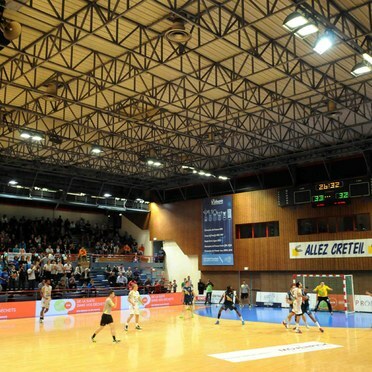 Palais des Sports Robert-Oubron is now fully compliant with the French Handball Federation lighting requirements.